Even though I am not much of a shopping fan, let me start with shopping in Sharjah because that is the first thing I did there! I was staying close to Blue Souk (Central Souk) and that was the first place I walked to! There are local markets like Rolla Market and malls like City Center Mall. 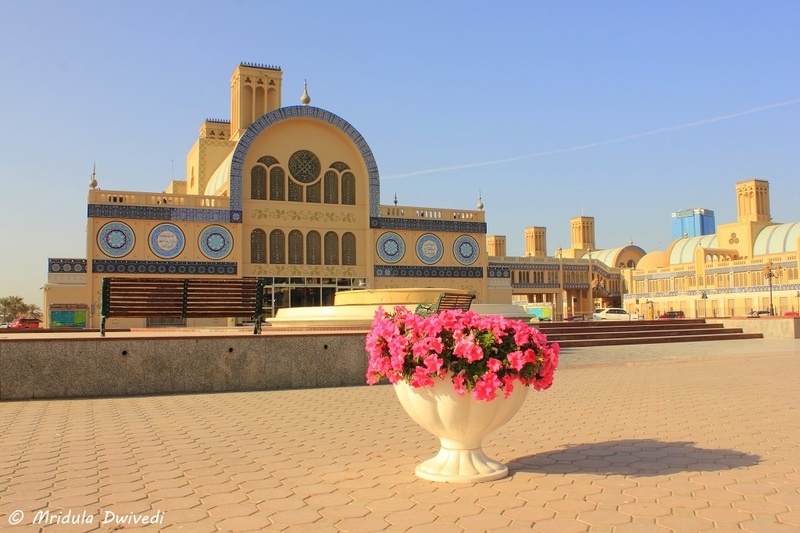 When it comes to shopping, there is plenty to explore in Sharjah. 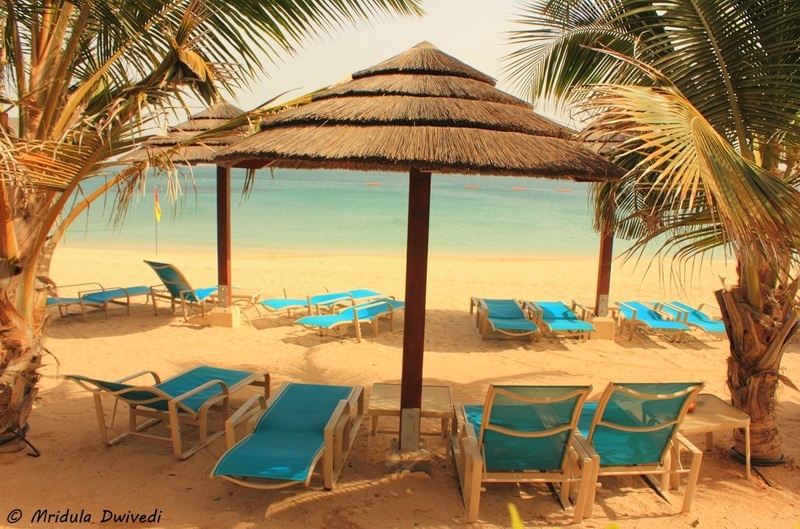 And if you still want more, Dubai is a short commute away. If I get to walk, I am happy and Sharjah is walking friendly. I was staying at the Royal Tulip Act hotel in Sharjah. 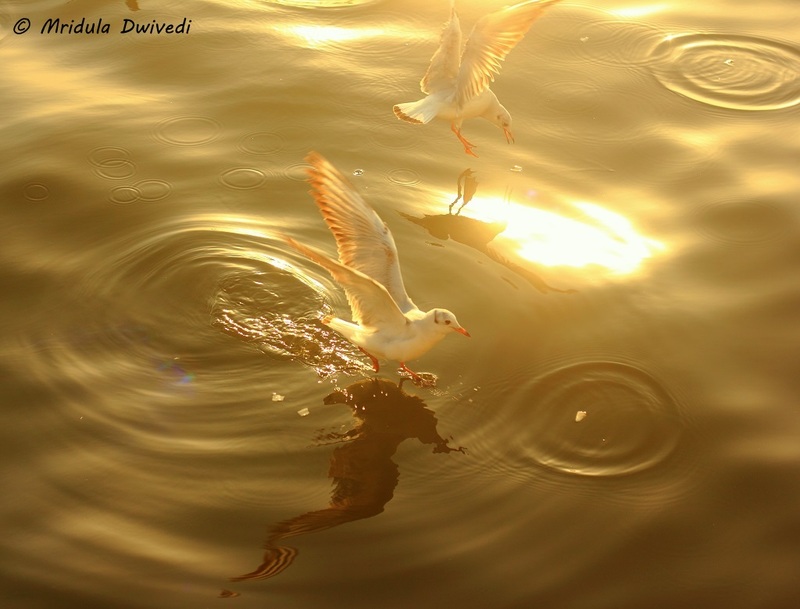 Across the road was the promenade where I would walk to my hearts content and make friends with seagulls! I could walk during the day and I could safely walk at the night! I doubly love places which are safe for women. 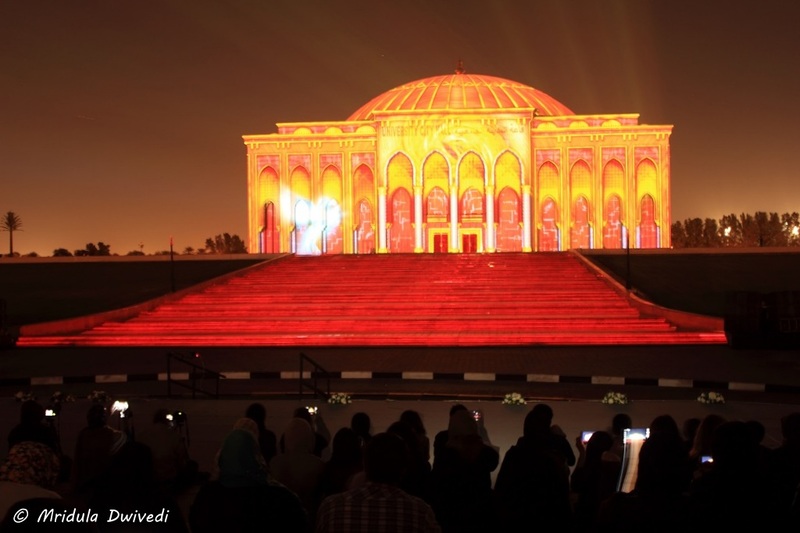 If you can, go to Sharjah in the month of February when they celebrate the Sharjah Light Festival. The mosques are lit up and there are light shows at many places in the city. It is a unique festival that you will enjoy. 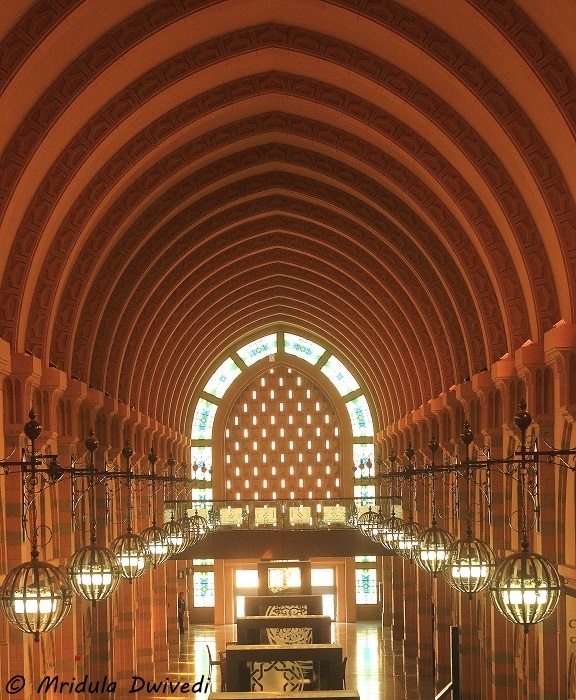 The majestic Sharjah Museum of Islamic Civilization opened in 2008. The building originally used to be an indoor market. It is spread over two floors and many halls. It showcases the Islamic civilization to the world. My personal favorite was the section on gardens and their role in Islam! 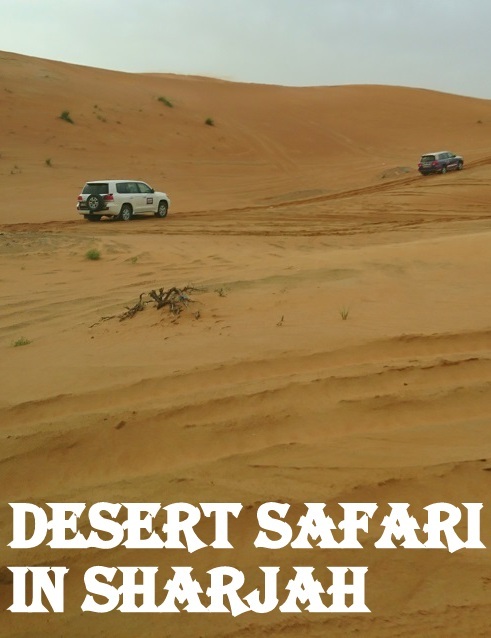 I have done desert safaris both in Dubai and Sharjah. Both have their own charms. On the Sharjah side it is quieter and it feels like you own the desert. 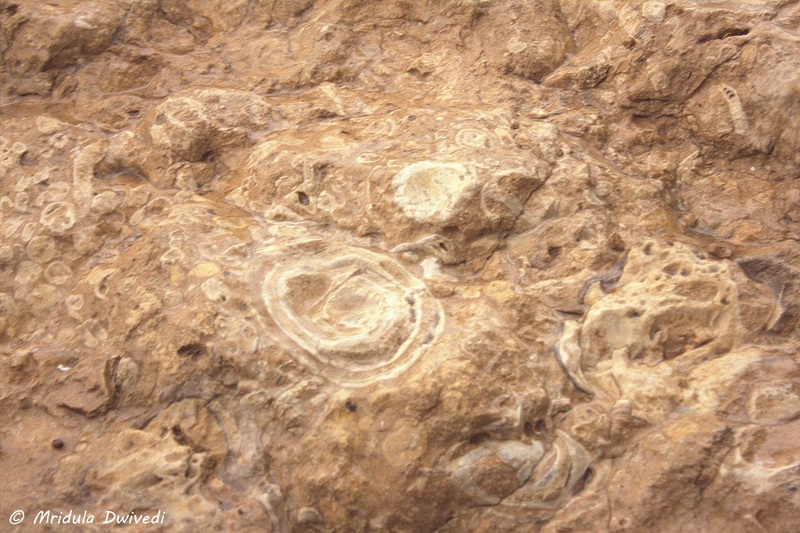 There are rocks and sea fossils to enjoy. I did the safari with Mleiha, it was an amazing experience. 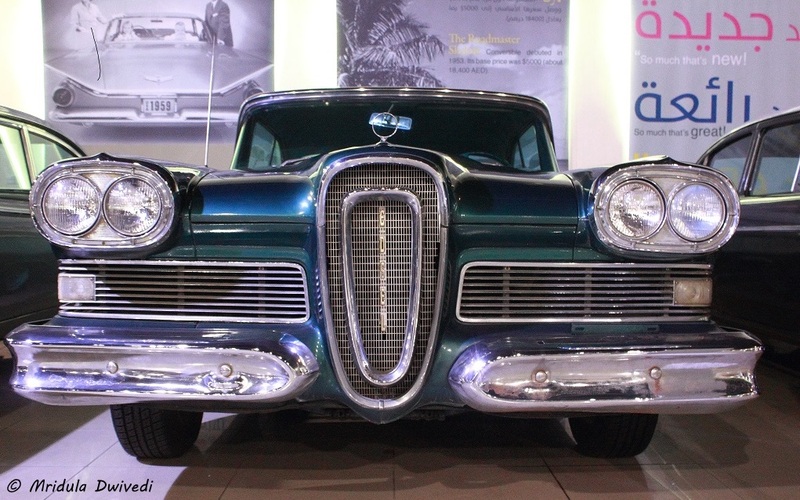 If you are a connoisseur of old cars head to the Sharjah Classic Car Museum. They have a huge collection of old beauties from Mercedes, Rolls Royce, Ford, and many others. The official website describes it as- “In restoring the traditional heritage areas of Sharjah and linking them together, not only is the Heart of Sharjah the first development of its kind, but it is also the region’s biggest heritage project to date. Seeking to reflect what Sharjah was like over half a century ago, the project will restore and revamp the city’s traditional areas to create a tourist and trade destination with contemporary artistic touches, yet retain the feel of the 1950s.” It is at the moment a work in progress. There are many souks in the area when you can enjoy for shopping or coffee. 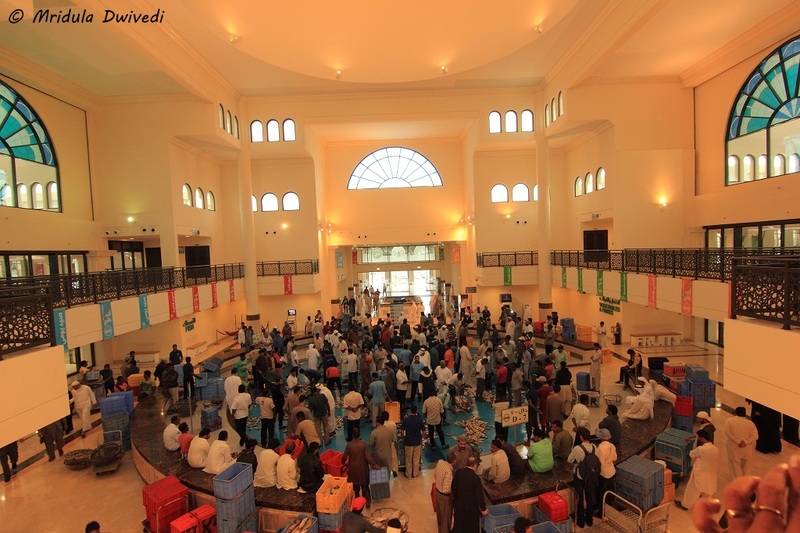 Souk Al Jubail is where you can buy fresh produces. In the evening there is a fish market, where auctions happen. Mr. Ali, the general manager of the Souk showed us around. It was fun to watch the auction live, the amount of noise it generated, it was seen to be believed. Mr. Ali told us that many fishermen in the area were from Mumbai. He could speak in Hindi with the staff! They have a section of fruits and vegetables which smells much nicer. They sell variety of dates there as well. 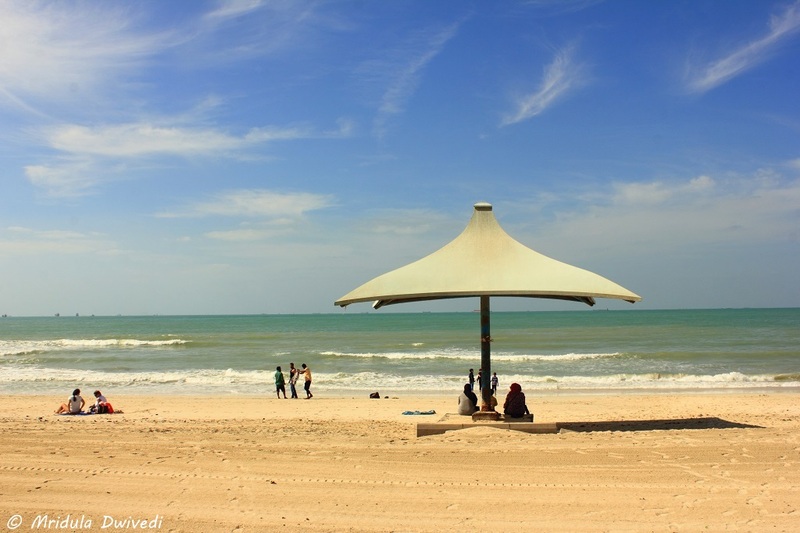 Khor Fakkan is a beach town some distance away from the main city of Sharjah. You actually cross another emirates, Fujairah to reach Khor Fakkan. The road goes via beautiful Hajar Mountains. 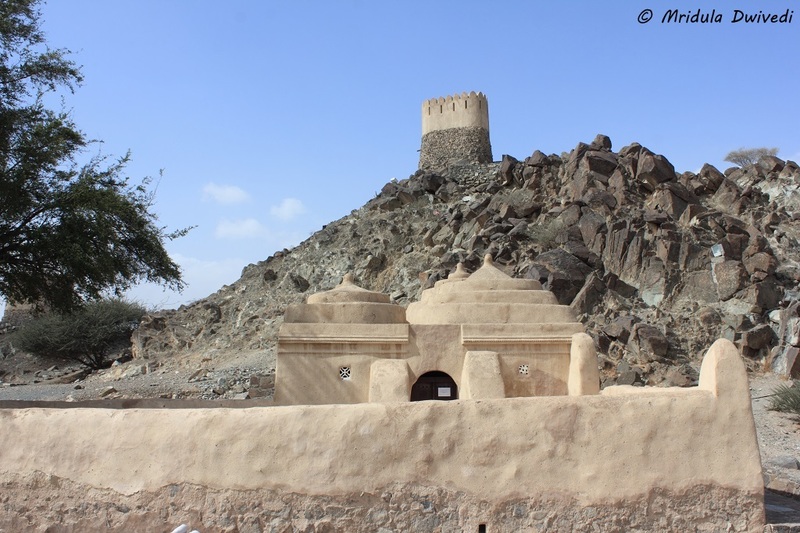 Do remember to stop to see the oldest mosque in UAE the Al Badiya Mosque. It is easy to visit Dubai and Ajman from Sharjah. So one could actually stay in Sharjah and still visit Dubai and explore all its attractions. However, I had been to Dubai just before this trip so I went to the nearest emirates, Ajman. There is a city bus service to Ajman, it is so close. 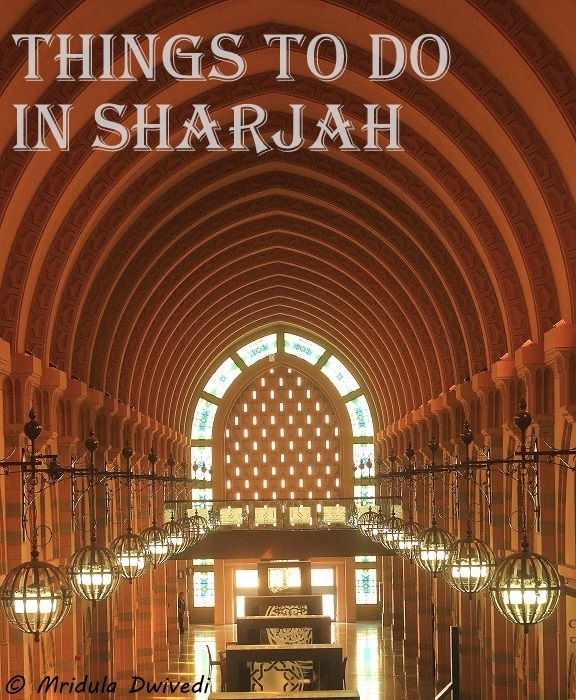 There is a lot to do in Sharjah, what I list is just a short list! 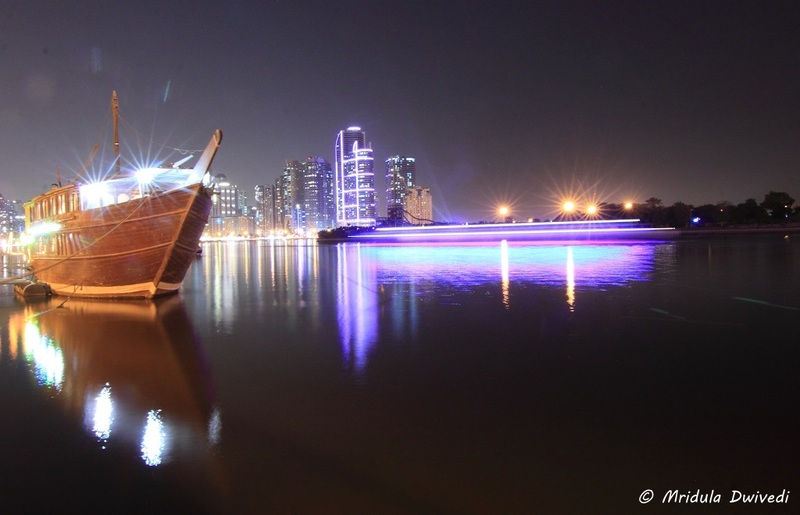 If you are a museum aficionado there is much more to explore in Sharjah. It was a cold and rainy day in Sharjah when we were supposed to go on the desert safari with Mleiha Sharjah. Throughout the day we kept wondering if the Safari would take place or not? 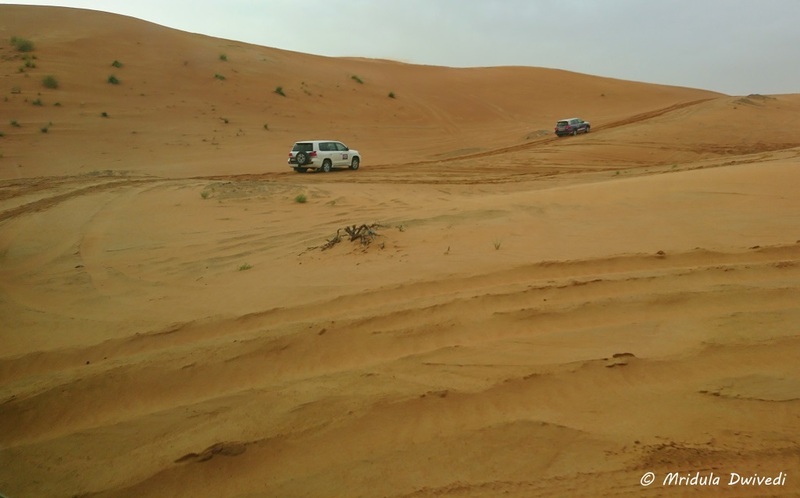 Luckily for us the weather did not affect the desert safari in Sharjah with Mleiha. 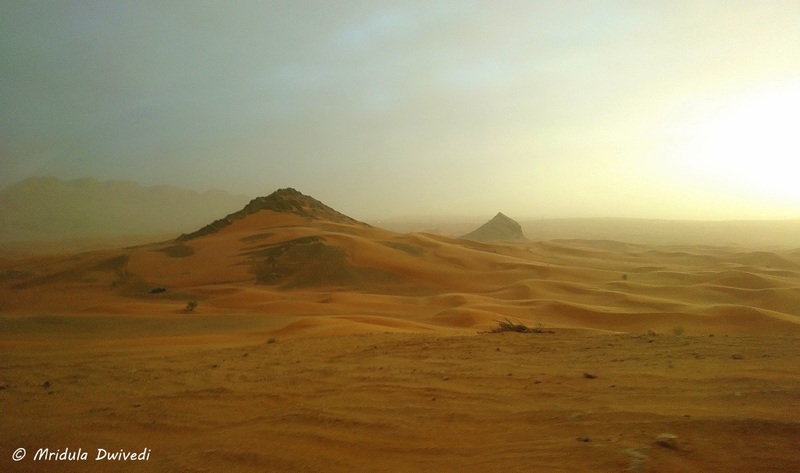 I have now done desert safaris both in Dubai and Sharjah, both have their pluses. My vote goes to doing it in Sharjah if you are looking for a peaceful experience. However if you need belly dancing and crowd, you need to go to Dubai. 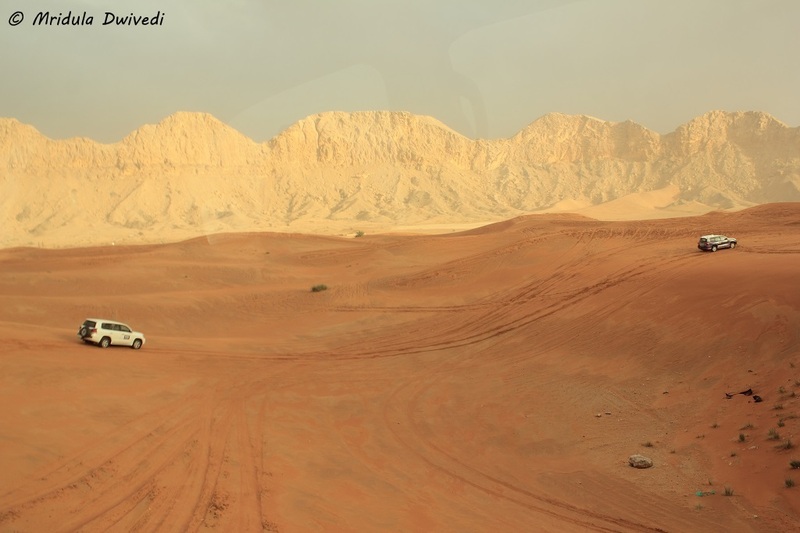 We started out in a Land Cruiser to the desert near Mleiha. 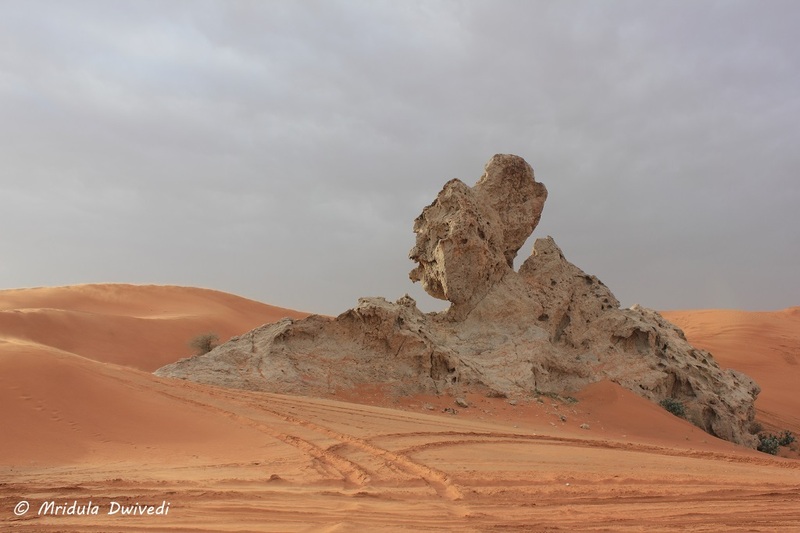 Mleiha offers many other activities like star gazing, hiking etc. apart from the safari. They also have the Mleiha Archiological Center from where the safaris start. We did the Fossil Rock + The Camel Rock option. Due to my previous experience in Dubai I knew that I would be affected by motion sickness so I took my medicine about 45 minutes before the start of the safari. Avomine leaves me sleepy but I have no option because otherwise I get nauseous with in no time. So, if you have motion sickness do remember that desert safaris can trigger nausea. Not Much of a Sunset Though! It had rained before in Sharjah, the sand was wet when we went for the drive. They were using land cruisers for the trip. There is a strict instruction to keep your seatbelts on all the time when you are inside the car and there is a reason for it. On the steep turns the vehicle may overturn. The seat belt will keep you safe. All the vehicles are reinforced so that they can take the flips if it ever happens. Evidence of Sea Life in the Middle of Desert! We asked our driver, who was from Bangladesh, if he had ever flipped. He replied in the negative but added he had seen other vehicles flipping and nothing happens as everyone is using seat belts and the vehicles modified for it. It was extremely cold and windy on the day we did the safari. We got out for a minute of the vehicle both at the Camel Rock and the Fossil Rock. Then we would run back say to the safety of it after clicking some pictures. The mind boggles at the thought that the vast stretch of desert was under sea ages ago! There was not much of a sunset so we missed out on it. In my view the safari got over far too quickly and we were headed back to the city for our dinner! 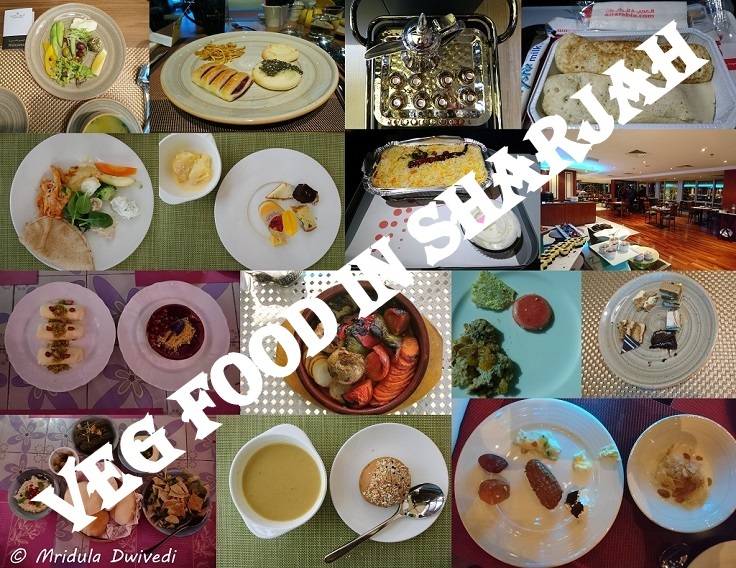 What do you say if 5 plates out of 15 are desserts in my collage from Sharjah? Well, I don’t need to look far as to why I don’t lose weight anymore! I could find vegetarian food in Sharjah. Most of my meals in Sharjah were in hotel buffets. There was a reason for this. On the FAM there were bloggers as well as travel agents. When travel agents are part of the group, you get to see a lot of hotels. And the hotels then mostly host us for lunch or dinner! I ate at Royal Tulip Act, where I stayed, Sheraton Sharjah, Oceanic Khorfakkan, Golden Tulip Sharjah and Zahr El Laymoun, which is a restaurant. I also had a lunch Sultan Saray, Ajman. Arabic cuisine has fantastic mezze meal which has Pita Bread (Kuboos), hummus, Babaghanoush, fattoush, olives, falafel etc which for me is good enough as meal. However it is otherwise treated as starters. They also make excellent lentil soup. The bread selection at all the hotels was good. For me the starters and soup and bread were quite filling in itself. I could easily find rice at most of the buffets. Arabic bread feels like roti. But then what happens when the novelty wears off after a few days? I could always find rice at the counters, sometimes we would pour the lentil soup over it as it tasted like our दाल (curry). But I did not see dedicated vegetarian counters in the hotels. There were live pasta counters at some buffets and they were popular with vegetarians. In desserts all kind of pastry was available. There were a few local desserts that I tried but I remember the name of only one, the most popular known as Umm Ali. If you don’t believe me you can google the name and see if it is a dessert or not. It is made of puff pastry and condensed milk! But the most rocking thing I had was Arabic Coffee with dates. It is kept in the hotels around the reception area for the guests. The cups are small and the coffee is black and bitter. But it is to be taken with dates (not the valentine day dates but dates as in खजूर) which counters the bitter taste. I wonder how I managed to miss it in Dubai! So overall I was fine in Sharjah as a vegetarian. I have a feeling that if we went to more restaurants rather than hotel buffets, probably it would be easier to find more variety in vegetarian food. PS. My trip to Sharjah was sponsored by Air Arabia and Sharjah Tourism Board.